Home » Smart Home Security » The Best Smart Home Security Systems of 2017! A smart home is one that has most of the traditional manual processes in the home automated. This means that things that used to be done by humans are now taken care of by devices and appliances that are set up to respond to command automatically. Things like turning on the light switch, switching off the cooker and monitoring the environments are now some of the manual tasks being taken over by machines. Over the past few years, home automation has become something that is being discussed more because more people are getting interested in it and are already investing in it or are willing to do so. There are many aspects of the smart home that can be automated; these include entertainment, kitchen, ventilation, lighting and security. Even though all of the aspects as mentioned above of the smart home are all important, it is imperative to point out that the safety of a home is one of the most important if not the most important aspect of a smart home automation. With the sort of technological advancements that we now have in the world, it is now possible for one to install a camera and other home monitoring systems that will help in ensuring the security of our homes. What makes these devices smart is the fact that they can be connected to the internet and with an accompanying app one can control and monitor the home from anywhere in the world. Another thing that comes with the smart home security system is the fact that one can schedule the processes like the lights turning on and off at scheduled durations and this helps in no little way to scare off intruders and unwanted persons from the house even when we are away from the house. An alarm system: If you don’t have an alarm system built into your smart home security system then you might want to consider buying any of the smart alarm systems around depending on your budget. There are products on the market with motion sensors that can detect when someone breaks into your home and then alert your neighbors and passers-by thereby protecting your home from intruders. Put your budget into consideration: This is crucial, because as I mentioned before, there is a broad range of products on the market with varying prices and you could get discouraged by the humongous price of some of the products. But if you do your market research with your budget in consideration, then you will be saving yourself a lot of stress, and ultimately, you will end up with the best smart home security that your money can buy. Do your market research: some companies promise to sell you “affordable” smart home security, but they come with a lot of hidden charges and contracts that might end up costing you heavily thereby putting itself out of the affordable device bracket. Therefore it is important that you conduct your market research well to avoid these kinds of issues. Besides, with your research, you will be able to know the exact kind of products that fit your needs because our individual needs differ from one person to the other. Buy easy-to-install products: Smart home security devices are useless if they can not be installed. 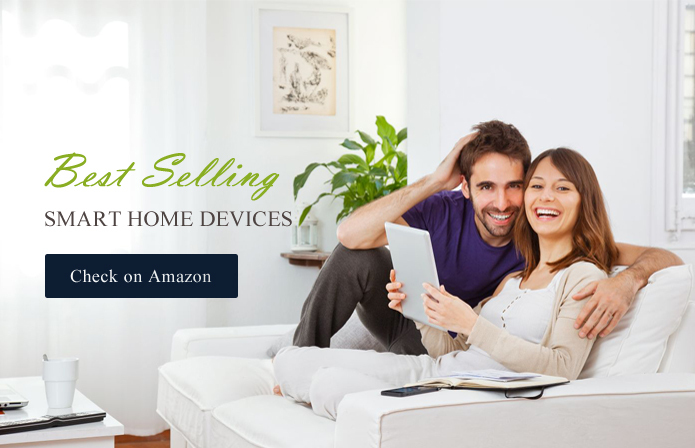 Therefore, it is imperative that you only buy devices that are easy to install and use. Even though a lot of smart home solution companies offer installation support, it is, however, advisable that you know how to install these products or at least have an idea in case you need to troubleshoot the installation. Buying easy to install smart home security systems also saves you the money you have to spend on hiring a professional to help you install the system. A smart home security system is something that is worth the fuss if you are willing to go into smart home automation. The rewards to be reaped are bountiful as it ensures security as well guaranteeing our peace of mind. However, one should be careful about what he/she is investing in and what products he/she is going to purchase. Having said that, there are ways of getting around that as we have pointed out above and if these recommendations are carried out to the letter, then you could be well on your way to setting up your smart home security system.